Tension is simmering between US and Ethiopian officials as investigators prepare to release in the coming days an interim report about the Boeing Co. 737 MAX jetliner that nose-dived after takeoff from Addis Ababa on March 10, according to people from both countries. US investigators, according to people familiar with their thinking, have privately complained that Ethiopian authorities have been slow to provide data retrieved from the black-box recorders of Ethiopian Airlines Flight 302, which went down minutes into a flight to Nairobi, killing all 157 people on board. A spokesman for the Ethiopian transport minister didn’t respond to requests for comment Sunday. Ethiopians involved in the probe, for their part, have chafed at what they see as American efforts to exert control over the preliminary report, according to other people familiar with the investigation. The behind-the-scenes maneuvering, according to people from both countries, has impeded but not prevented the international investigators from working together. The preliminary crash report, according to people briefed on the details, is expected to say that data analysed so far indicates the Ethiopian accident bears important similarities to the crash of a Lion Air 737 MAX plane that went down in Indonesia less than five months earlier, including activation of an automated stall-prevention system and related features. Boeing is in the process of rolling out a software fix and enhanced training related to the automated feature, called MCAS. Publicly, US officials have expressed satisfaction with the sharing of information. Last Wednesday, Robert Sumwalt, chairman of the National Transportation Safety Board, which is leading US participation in the probe, told a Senate subcommittee his experts have gotten the data they need. On Sunday, a Boeing spokesman said: “We have great respect for the Ethiopian government. As a party to the investigation, we’re following all international protocols and conduct all our work through” the US safety board. From the outset, though, Ethiopian officials have kept tight control of the probe, carefully guarding the recorder data and pUS hing back at what they view as efforts by Boeing investigators to influence and speed up release of the preliminary report on the crash, according to people familiar with the matter. The Boeing spokesman said it was “absolutely not true” that the company’s investigators are trying to influence or speed up the preliminary report. Safety experts have also tussled over the interpretation of certain data and their presentation in the report, according to people from both countries. 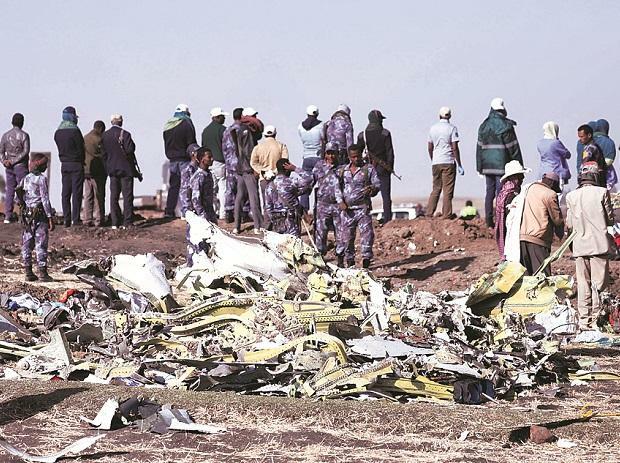 Ethiopian officials asked the French aviation accident investigation bureau BEA, which downloaded data from the black boxes, to permanently delete that information from its servers once it had been transmitted to Ethiopian authorities. The BEA has confirmed complying with the request. Frequently, probes of airline crashes that occur outside the US in which American investigators play a role prompt friction and outright disagreements between US government and indUS try experts and local investigators leading the probes. In the case of Ethiopia, the tension is exacerbated by the country’s limited staff and experience investigating major airliner crashes, according to indUS try and safety experts tracking the probe. Officials in Addis Ababa, for their part, are still smarting from the results of an investigation into the deadly 2010 crash of an Ethiopian Airlines plane shortly after takeoff from Beirut. That probe, led by Lebanese authorities, found that the airline’s pilots failed to respond adequately to stormy weather during the aircraft’s ascent. Ethiopia at the time disagreed with the findings of the investigation, attributing the crash to bad weather. “With this investigation, we are the ones who are in charge,” the chief of Ethiopia’s civil aviation authority, Col. Wosenyeleh Hunegnaw, said in a March 20 interview. Another potential point of friction, according to some people familiar with the details, is the role played by experts from state-owned Ethiopian Airlines, which also faces scrutiny in the probe. The airline’s engineers have been providing technical support to officials from Ethiopia’s transport ministry.